Looking for one of the best (if not the best) large sedans on the market? If you are, then keep an eye out for a 2017 Chevy Impala in Naperville, IL. The 2016 version received plenty of praise from owners and reviewers alike for its technology and overall build quality, but was especially celebrated for its performance, spacious interior, and safety. Since the only thing that’s changed for the 2017 model is minor revisions to naming and availability of the trim levels, it’s safe to assume that the 2017 Impala’s performance, interior, and safety are, again, considered its strong suits. Need more evidence? Let’s break it down, and take a closer look at the Impala’s noteworthy qualities. Chevrolet has always done really well with its engines. Namely, the small block engine. While they might not be found in the 2017 Impala, the engines you’ll find are by no means pushovers. In fact, for the 2016/2017 model years, Chevy’s engines across the board are all a good mix of durability, power, and fuel-efficiency. A combination of elements that every vehicle needs, regardless of its body type or purpose. Before we jump into talking about engines, it’s important to note that regardless of trim level or engine option, the Impala is a front-wheel drive vehicle, with the front-wheels being turned by a six-speed automatic transmission. Kicking things off, the LS and LT trims are equipped with a 2.5-liter four-cylinder engine. This also happens to be the standard engine found in the Impala lineup, and puts out 196 horsepower/186 lb.-ft. of torque. For fuel economy, the Impala gets an EPA-rated 22 mpg city/31 mpg highway (25 mpg combined). As far as large sedans go, that’s a pretty good fuel-efficiency rating. No doubt, it’s thanks to the automatic stop-start system that instantly shuts off the four-banger when you come to a halt. This helps save fuel that would otherwise be wasted on idling, which helps out more than you’d think over the long-run. If you want more power on the LS and LT trim, then a 3.6-liter V6 engine is an option. Standard on the Premier trim, this engine produces 305 horsepower/264 lb.-ft. of torque, which is what you’d expect from a V6 slapped onto a large sedan. Fuel-efficiency, naturally, goes downhill for the Impala when this engine is equipped. Sitting at an EPA-rated 18 mpg city/28 mpg highway (22 mpg combined), you’ll be stopping at the pump more frequently compared to the standard 2.5-liter. Then again, if you opt for a V6 engine, you’re most-likely not worried about, or at least expect, the drop in fuel economy. It’s a rare occurrence when you have a vehicle’s well-crafted and high-quality exterior allude to and actually align with the type of interior you’ll find wrapped up neatly on the inside. Thankfully, the 2017 Chevrolet Impala is one of those rare vehicles. Just like the flowing contours of the exterior, the first thing you’ll notice inside the Impala is the dual-cowl dashboard’s graceful and enveloping nature, spanning outward seamlessly into the driver and passenger side door panels. This wraparound effect isn’t unique just to the Impala though, and is found on a lot of other new GM/Chevy vehicles. Is that a complaint? No, because it’s done well and looks really nice. The rest of the interior looks just as good, but the passenger space is the real winner. Since it’s a large sedan, the Impala has a pretty big wheelbase, measuring at 111.70-inches. For those who might not know, the wheelbase is the distance between a vehicle’s front and rear wheels. How does this relate to interior space? Well, it just so happens the cabin also sits between the front and rear wheels of a car. Therefore, the larger the wheelbase, the larger the cabin – translating to more interior space. How much space are we talking? With over 3 feet of headroom in the front and back, close to 4 feet of legroom in the front (max), and just over 3 feet of legroom in the back, the Impala is able to carry four 6-ft. passengers cross country without any problem at all – rare for a large sedan. For that type of space, typically you’ll want to upgrade to an SUV. The total passenger volume is 105 cu.-ft, and the accompanying 18.8 cu.-ft. of trunk volume ensures that you still have plenty of storage for that cross country road trip as well. But, interior design and volume isn’t all that consumers care about when considering their next car purchase. Technology inside the cabin is also a huge factor for a 2017 model, especially the touchscreen. Everything about the Impala is large. The seats, dimensions, and even the touchscreen interface. Coming in at 8 inches, the MyLink interface ties audio, navigation, and phone functionality (Apple CarPlay/Android Auto) together in a crisp and high-resolution display. While it’s one you’ll have to upgrade to — since the base trim doesn’t offer it standard — it’s well worth the extra money if technology is a priority for you. Since the forward collision alert safety feature is what contributed greatly to the Impala’s “Superior” rating in one of the crash-test categories, it’s a significant aspect of the Impala’s safety. In a nutshell, this system uses radar to detect objects in front of the vehicle. If there is risk of a collision, it will alert the driver so that he or she can take the appropriate evasive maneuvers. Lane departure warning is a great additional safety feature, alerting the driver if he or she unintentionally (no blinker) performs a lane change – whether that means the driver drifted out of a lane as a result of fatigue, or simply because he or she got distracted. Rear cross traffic alert is a savior when it comes to cramped parking lots. Radar detects any vehicles (or pedestrians with shopping carts) that are about to cross behind the back of the Impala from either the right or left side. If that happens, an audible and visual (on the rear vision camera) warning will pop up to alert the driver. If an accident does occur, OnStar is there to help. With the automatic crash response system, an OnStar Agent is immediately connected if a collision is detected by the sensors. 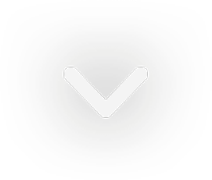 The agent will inquire if the driver needs help, and if no response is given, will then send emergency services to the location with high-accuracy GPS tracking. Chevy’s philosophy on safety is clear-cut: prevent, protect, and respond. The 3-part safety experience successfully delivered by the 2017 Impala. 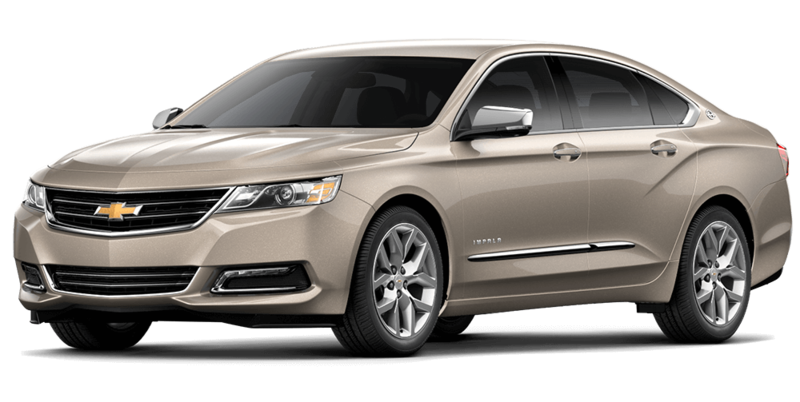 At the Chevrolet of Naperville dealership, the 2017 Chevrolet Impala is waiting for your consideration. Why buy from Chevy of Naperville? 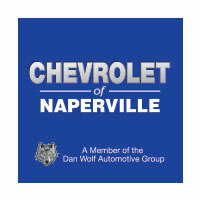 Because we’re part of the Dan Wolf Automotive group, a group of dealers delivering quality vehicles and proven customer service to drivers in the Naperville, IL area since 1971. We’re proud to be part of a group that values and prioritizes quality vehicles and customer service, and want to continue to contribute to that tradition. Just one reason why, at Chevrolet of Naperville, we stock only high-quality new and used cars, and give full attention to our customers’ needs. Shoppers are guaranteed satisfaction when working with the team Chevy of Naperville. From our sales staff to general managers, our priority is helping you find that perfect car at the right price. Ensuring that all your needs — and even preferences — are met along the way.